S e c r e t E g y p t & A f t e r l i f e U n c o v e r e d i n. . . There will be messengers that will precede the coming of the Purifier. Bear this strongly in mind as you discover the incredible beginning ...at the end of this book. accompanied by twin flame Judith, there has been a spectacular discovery. 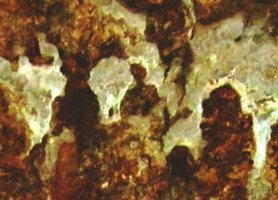 Our Ancient Ancestors left a Secret Message for us which may change your view of our Origins forever. BOOK THREE : Returning to the Underground and the Secrets of the Ancients. Brian: I started this book with a sceptical mind and thoughts of, 'Will I ever get to the end.' But as I read I gained more interest into the mind of the writer Richard Gabriel. What a mind that turned out to be. I read every page from start to finish with growing interest. There were some parts that I hungered for more info and some that made me smile on a slant that the writer had put on a situation. There were some very personal items of information on the writer's private life and childhood, and some lovely personal stories. Throughout 10/10 will interest the scientific reader, the traveller and readers interested in Egypt. Also the animal Foundation at the end held my interest and I am wondering if there will be a follow-up on this subject. I do hope so. I look forward to reading more. Keep them coming and good luck with future expeditions. Bruce : As a researcher on fringe subjects I consider myself reasonably well read, having gathered some 300 or so books related to my research activities (and read most of them). Some books have blown my mind whilst others were very mundane and boring or extremely hard to follow. Over the last five years I have at times reviewed books here on the site; generally these are ones I enjoyed. With this in mind I decided to post a review of my favourite book of the year 2012, chosen from those actually published in that year. 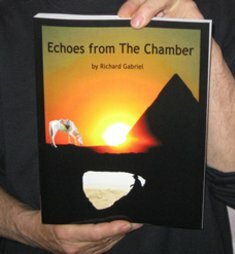 Without further ado the book that impressed me most in 2012 was ‘Echoes From The Chamber’ by Richard Gabriel. Irrespective of the fact that I personally know the author to be a man of great character, the book is quite simply extremely well written, and clearly painstakingly edited by his own hands (lacking the budget for an editor). Really this book is actually a trilogy in one large volume, having thre distinct sections and it is perhaps best to talk of these three sections individually. Section one gives us a detailed explanation of the seemingly mysterious workings of our reality. We are gently walked through an understanding of reality to quantum levels and even beyond. The interactions of our level of existence with higher dimensional realms are explained in detail, yet all done so without baffling the reader. The book cleverly weaves in some personal experiences along with the currently understood scientific principles, some of which may be currently considered as on the cutting edge of quantum physics. We are then taken on a journey of discovery regarding the way in which a human presence (spirit person in flesh) operates within the matrix of energies making up existence itself, this includes an examination of some of the spirit realms as well as some effects on us down here in the physical that actually have higher level causes. There is plenty here for or those interested in the truth behind dark matter, quantum particles and higher dimensional physics. Thankfully Richard makes the explanations highly accessible to even the layman reader, interesting examples are given that include some extremely traumatic personal life experiences of the author himself. 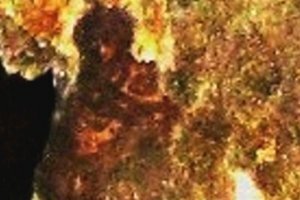 Without revealing too much I can say that Richard has been to hell and back in his personal journey and this fact gives him the compassion for the reader of one whom really knows the pains that we can experience in life. You might say that he provides an interesting real world example of the seekers journey as it is sometimes portrayed in esoteric understanding. In my own opinion it is only possible to talk fully on higher spiritual process and the related phenomena if one has actually directly experienced and tested some of these. As Richard rightly states, it is only necessary to have one true Out of Body Experience (OOBE) to know that the consciousness is not the physical body and that it thus operates by higher laws than just physical. As someone with several such OOBE I agree fully with this assertion. The problem is then to convey the full scope of our reality to those that have not directly experienced it. Direct experience cannot be fully transferred to another party by descriptive words, instead the evidence for the existence of higher functions is fully explained and explored, allowing the best chance of a full sharing of the understanding Richard has gained on his decades long journey (really on a much longer journey that has taken many lifetimes for him to get to where he is on his path). Though some of the science research included can be found elsewhere, so much of it is brought together in one place that it saves reading several other books. This is not a journey in which the reader has to take on faith any of the writers conclusions, everything contained is intended to be tested against reality and challenged if necessary. Section two is a made up of a large number of questions to the author, along with his detailed answers. These are taken from real questions put to the author by visitors to his website over the years. The questions chosen are ones that address the major subjects in our lives and personal spiritual paths. Such matters are included as God, love, vegetarianism, truth, human origins, suicide and much more. Some very insightful answers are provided on each subject. It is refreshing to see the author of a ‘spiritual’ book fielding such profound questions from the public, including many of the big questions that come up in all of our lives, after all we do not often get to see our questions put to an author and see how they respond. This section really lets the reader get to know the understandings of the writer. There is no however no importance put upon the author in the material, he remains simply an example and a narrator not becoming the subject of the book in any way that might have one thinking this is a an autobiography or an attempt to become a guru of any kind, there is a great degree of humbleness and heartening honesty throughout. I found many of the answers spoke directly to me and my own journey through life and through my own personal self-development work. I was personally really gripped by some of the answers that took us back to before the fall of spirits into physical existence. 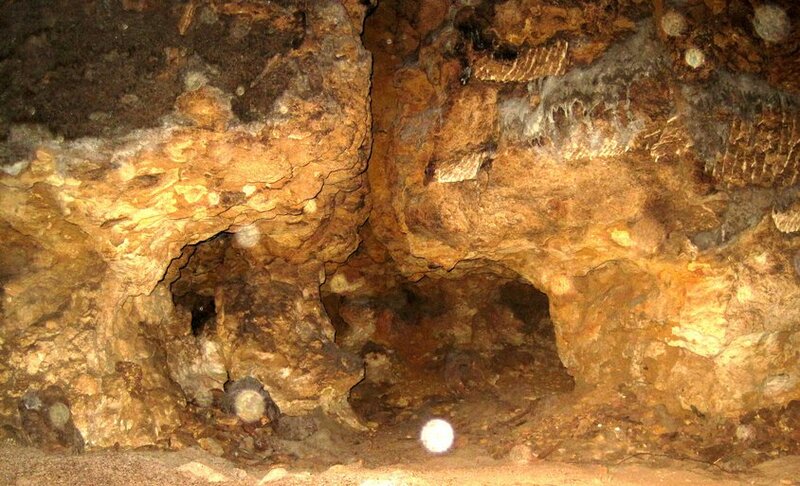 The third section may be the one that grabs the most members of the pubic, it certainly tackles a subject few readers here will not be interested in, the direct exploration of secret areas under the Pyramids of Giza. 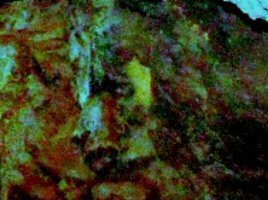 I was personally fortunate enough to go on one adventure under the sands of Egypt with Richard in late 2011, so for me this explosive material is actually a part of my own journey. Where I have spent years looking at the Mayan knowledge, including some direct exploration, Richard has spent far longer with his focus on Egypt and its true past. He takes us on his physical journeys to Egypt, these explorations stretch for over ten years. 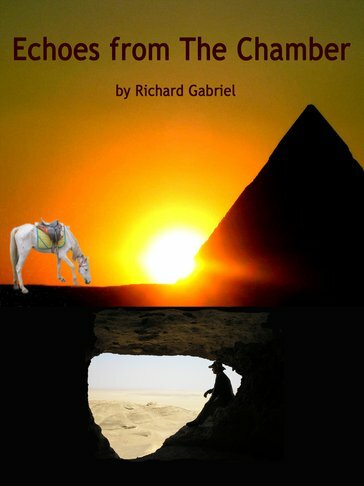 I really do not know of anyone that has seen more of the hidden secrets of Egypt than Richard, and his written material certainly backs this up. I suppose the fact that I have been on a secret exploration with him also does not hurt when it comes to believing he really is going to all the places he says he is, I have seen things that blow my mind and I can only imagine some of the incredible sights his eyes have seen (of course some are detailed clearly in the book). Richard, along with his twin fame Judith, has followed a trail of solid evidence to a lost civilisation that founded the first dynasties of Egypt, the data he uncovered also directed his attention to beings from an off planet location, somewhere in the vicinity of the Pleiades star cluster. I think that it is not exaggeration to say that Richard is a real life Indiana Jones, he has risked his life both in his dealings with the powerful figures of the Plateau and in his physical explorations under the sands. This is not a story with a conclusion just yet as he is still travelling to and fro between the UK and Egypt, especially as he has recently incorporated a non-profit organisation to help the animals of Giza alongside continuing his own research. 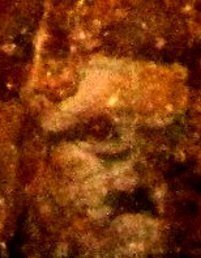 What we are able to conclude is that there is a labyrinth of tunnels under Giza still being officially denied, whilst the same officialdom enters and pillages the network in secret, and that thieves of all kinds are removing incredible objects from the sands of Egypt, whilst Richard takes nothing but photos almost all of which can be seen on his website. This is the factual ultimate travel and adventure story, with the added factor of informing us of our true historical roots as a higher race. For me it is clear that Echoes From The Chamber constitutes a timely download for the planet, the information contained is needed by so many people that currently feel lost and confused in our sickened world. The three sections come together to give us a really complete view of life, the universe and everything – with a rip roaring adventure to boot! On this occasion the feeling of impending arrival was overpowering. I sat there droopy eyed, writing pad in hand, with no ideas but filled with increasing anticipation. I just stared into the far distance of the wall, waiting and waiting; but nothing came to me despite the huge build-up of energy. Eventually, drowsiness overtook me and I must have dozed off to sleep. My next recollection was of jolting wide-awake as if struck by lightning. My head was pounding and I was on my feet in a split second. For a short time there were flashes of light behind my eyes. I have tried several times to find an adequate description for the impressions in my mind in that moment. The closest I can manage is to remind everyone of the movie called Total Recall, starring Arnold Schwarzenegger. His active memory was falsely programmed into his mind. Eventually he has a total memory recall of his true lifetime. In my case, as I awoke, Gnosis was complete. Being alone in the natural tunnel system for hours has been a wonderful experience. Judith and I had already felt the change in vibrational atmosphere there, but when I turned off my flashlight it was something quite new. I sat there long, listening to the silence until the noise crept in. I don't know if others know what I mean by describing the noise of silence, where the mind becomes centred beyond physical senses and a euphoric feeling creeps in. The mind reaches to another place and in this case I sensed the huge ancient importance of my surroundings. I sensed lush smells and the sounds of purpose and orderly bustle. I did not feel alone at any time, and in fact waves of invisible wind constantly pricked up the hairs on my body. There was no feeling of discomfort but quite the opposite feeling of familiarity and of long lost knowledge. At last I had the privilege of embracing these feelings; but a deep sadness filled me also for the violation of ignorance which was abusing and avoiding the message that was still hidden here and waiting to be reclaimed. Our second but equal desire is to proceed with our plans to build a new Animal Operating Clinic under the gaze of the Pyramids in Cairo. Our plans for this have waited a long time to become reality, but our intention remains resolute. News will emerge as this progresses. Finally for now an apology if there are flaws on this page due to a first re-build with new host software. The links may not be fully functioning, but please copy paste them if they are needed, and any found faulty will be repaired as soon as possible.